Mexican Metroid … Yeah, I know but that’s the first thing comes to mind when describing this wonderful gem by Drinkbox Studios. Guacamelee is a wonderful homage to Metroidvania games of the past while adding it’s own little clever twist. You play as Juan, a humble, down on his luck farmer who has his girl taken by the demonic Carlos Calaca and then dies … but don’t worry! He is resurrected and reborn as an all powerful luchador, ready to stop Calaca’s evil plan. Throw in some awesome fighting combos and wrestling moves to defeat your enemies and the best part … you get to turn into a chicken. What could make this game even better? 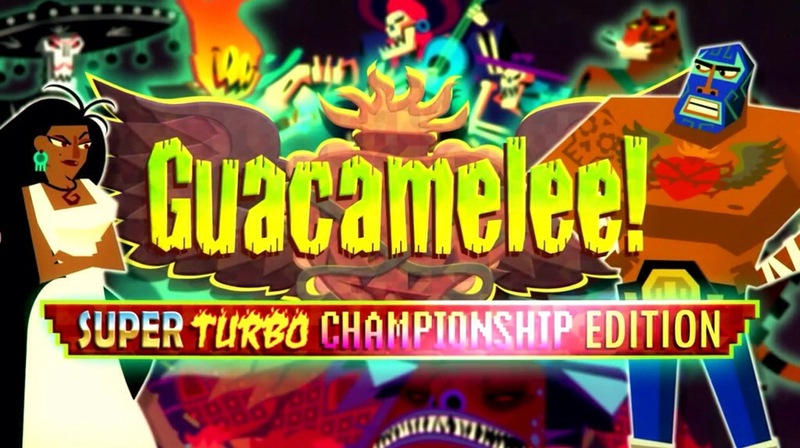 The updated Guacamelee! Super Turbo Championship Edition! Adding in new costumes, extra levels, tougher enemies, new abilities and a bosses, I highly recommend this to those who haven’t had the chance to play Guacamelee before. Available for Xbox One, PS4, Xbox 360 and Wii U.